What do you do when there are no patients (ER), or on the floor when all your pt care is done? I know there are lots of places that these two things never happen at, but I also know there are plenty of places that do have down time when pt care is done. 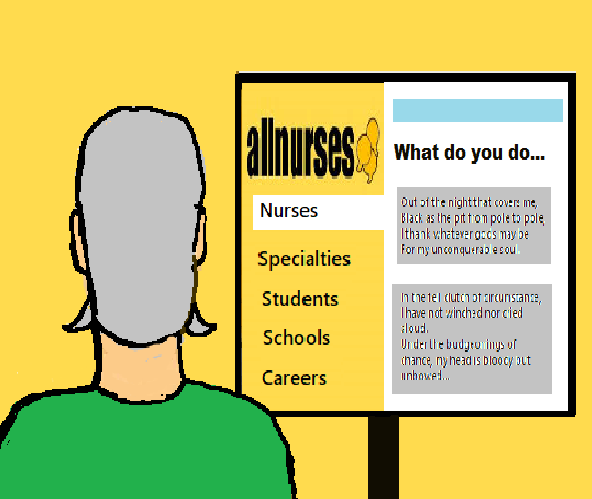 Newgradnurse17 has 2 years experience as a BSN. Can’t say I’ve ever seen ED empty. And it’s quite rare for all pt care to be done when working on different floors. But normally if there are too many staff they get sent to other departments to help out. Maybe for short period of time or maybe the whole shift depending on what’s going on. If I have down time, I try get ahead and prepare anything I can do now or write notes. Our hospital also has online education sessions I might do if it’s something useful. Otherwise I enjoy the quiet time while it last. Makes up for those hectic shifts where you leave late, or have no breaks. That's a rare site for the ED or any place in the hospital. Usually we get sent home. If I have a few minutes to spare, I will joke around with my colleagues. There is always something to do on my med/surg unit, because another nurse may see you sitting and ask for help with something. As for my hospital’s busy Level 1 trauma/stroke designated ED, it will be the end of the world if it is ever empty. In '92 & '93, I worked 12 hour MN shifts at Buoy Memorial Hospital, a small rural community facility, in Med Surge and ER. One RN covered the ER and the other the medical floor. Census was typically 3-6 patients and one time, for my 36 hour stretch, I saw one ER patient. Needless to say, there were long idle hours. I had kept journals and sketched here and there since my high school days, but really got into drawing a lot it during this time. Sometimes in ICU, you might have one patient, and that patient is in the OR and will be gone for several hours. This is where I check in with my coworkers and let them know that I am free to help them with their patient care. Basically I work as a resource nurse when I have no patient assignment. It builds goodwill with your coworkers and helps the day move along. Every once in a while I transfer out both of my patients. Either I get floated to another department or sent home. Reassess, be helpful to others, and wait, knowing that you could be slammed at any minute. I think the last time this happened on a ward was about 6 yrs ago. Our city has grown so much and the hospital has not been able to keep up with demand. 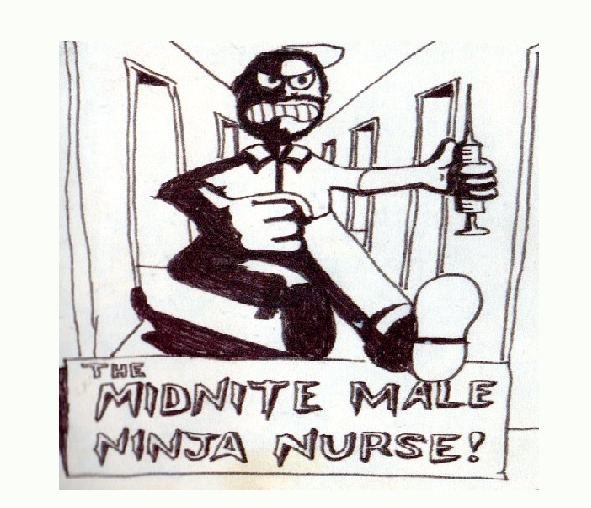 When I worked Med/Surg, there was one night when we had only six patients on the floor. Management sent several nurses home except for me and one other nurse. All was well and we were even a little bored because we'd done all the busywork, so we sat and talked to stay awake. Then, all of a sudden, the ER was inundated. They were pushing patients upstairs as quickly as they got more in, and this nurse and I were completely slammed. It was around 0400 and the house supervisor couldn't get anyone to come in early. She helped us out as she could, however, and if it hadn't been for her we'd have never made it. At the end of the shift we had gone from 3 patients each to 8. It was a terribly unsafe situation, but we did the best we knew how. Boy, did we learn not to say the Q word! JLRN5555 has 10 years experience as a BSN and works as a RN. We are suppose to keep busy. I use down time like this to make sure rooms are stocked and if everything seems good and still have time I usually do some online CEU's. If I am not busy, first thing I do is see if I can help my co-workers because they always help me .